Sussman Shank LLP | Matthew S. Parkin, LL.M. Matt Parkin has a broad-based federal income tax practice focused primarily on business transactions involving taxable entities and individuals, tax litigation and controversy, as well as on the taxation of non-profit/exempt organizations. His practice relating to business transactions includes advising clients in the formation of business ventures; mergers and acquisitions; capital restructurings; and asset and stock dispositions. 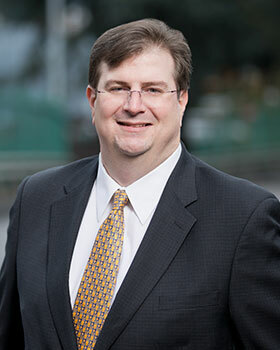 Matt represents individuals, closely held businesses and large corporate clients in audits, administrative appeals and collection matters, as well as in litigation in U.S. Tax Court, Federal District Court, and Federal Courts of Appeal when the matter is not resolved at the administrative level. Matt often advises debtors and lenders regarding the tax aspects of bankruptcy reorganizations and debt restructurings outside of bankruptcy. His exempt organization practice concentrates on non-profit hospitals and other healthcare organizations and involves both tax planning, financing, bonding, and compliance. He has experience obtaining private rulings from the Internal Revenue Service, and in his tax-exempt financing practice, has assisted healthcare organizations, non-profit hospitals and universities with restructuring, tax-exempt financing and related compliance matters. University of New Mexico, M.B.A.
New Mexico State University, B.B.A.